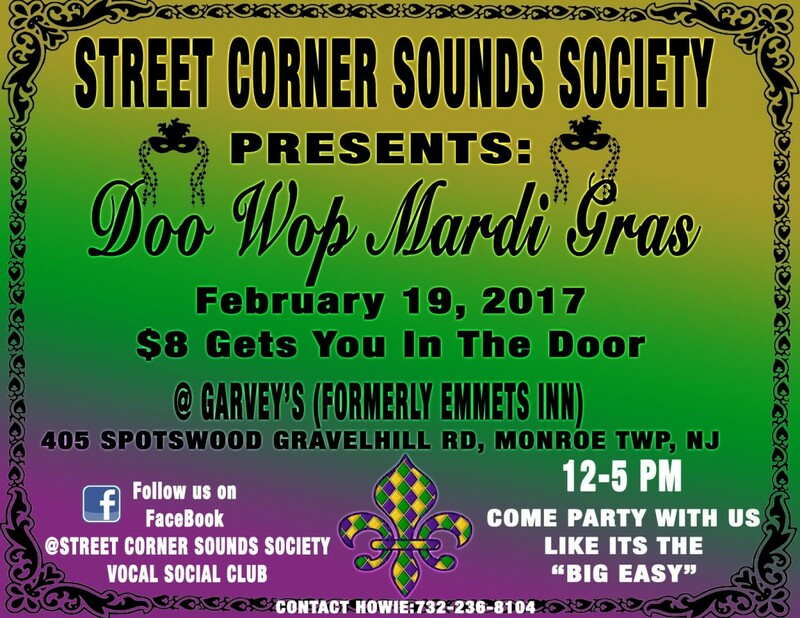 The Street Corner Sounds Society will celebrate a Doo Wop Mardi Gras on Sunday February 19 from Noon to 5 pm, at Garvey’s Restaurant, 405 Spotswood Gravelhill Rd, Monroe Township, NJ. Admission is $8 at the door. Doo wop singers and fans welcomed. For info contact Howie at 732-236-8104.